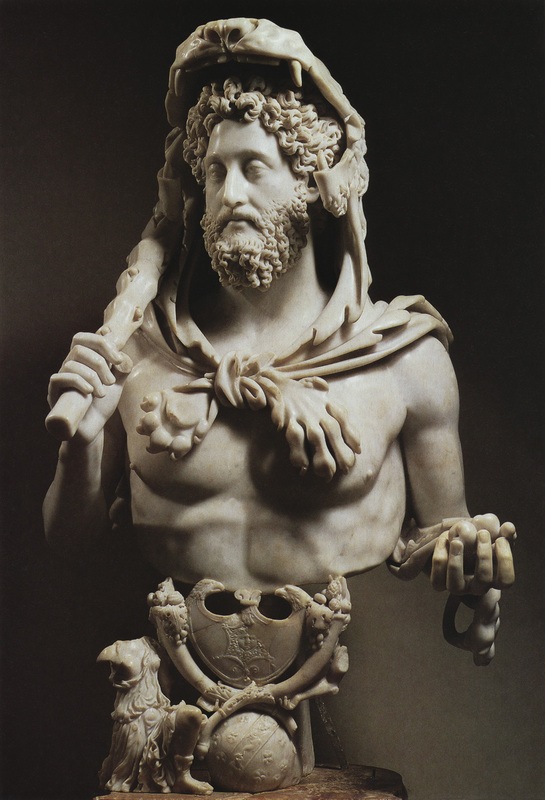 Bust of the emperor Commodus as Hercules. © Photo, text: J. M. Roberts. ILLYUSTRIROVANNAYA ISTORIYA MIRA V 10 TOMAH. TOM 3. RIM I KLASSICHESKII ZAPAD. M.: BMM AO, 1999. S. 102.